The Chicago Bears promote responsible drinking and positive fan behavior at Soldier Field. The Bears Fan Code of Conduct and the details of the Bears alcohol management plan that appear below ensure that fans have a safe and fun experience. Proper behavior is expected of all guests at Chicago Bears games.Unruly or inconsiderate behavior will not be tolerated and may be grounds for ejection from the stadium and/or revocation of ticket privileges. Such behavior includes, but is not limited to: abuse of intoxicants, profane, disruptive or abusive language or gestures, offensive or disorderly conduct, throwing any object, excessive standing in the seating area, standing or sitting in the aisles, smoking anywhere in the stadium, bringing any prohibited items into the stadium, possessing alcohol in a No Alcohol section, possessing more than two alcoholic beverages at a time, entering or attempting to enter the field level or playing field, wearing or displaying any apparel with profane or abusive language, failure to follow the instructions of stadium security and/or crowd management personnel, actions that may harm or endanger others and any other conduct that is deemed inappropriate in a public setting. Visiting teams’ fans are our guests; harassment of any fans will be considered unruly behavior and grounds for ejection. Each guest should hold his or her ticket and be ready to display it to stadium personnel to verify their seat location. Guests sitting in un-ticketed areas are subject to ejection from the stadium. Sending prank text messages can lead to the revocation of ticket privileges. Guests who cannot conform their conduct to these rules are not welcome at Chicago Bears games. The Season Ticket Holder is responsible for the conduct of users of tickets issued to the Season Ticket Holder. Guests committing an “extreme violation” of our Code of Conduct will result in ejection and automatic revocation of season ticket privileges and Permanent Seat Licenses. Those offenses include, but are not limited to entering or attempting to enter the playing field, or assaulting any guest or staff member. Any repeated violations of our Code of Conduct can result in forfeiture of season ticket privileges and Permanent Seat Licenses. Note: Open containers of alcohol outside the parking lots, on the stadium outer perimeter or on shuttles will result in citations from the Chicago Police Department. Remaining in the parking lots to tailgate during the game will not be permitted. Grills and fire pits are not permitted in enclosed parking garages and the lower level of the Waldron Deck lot. Tailgate set-ups cannot block vehicles entering or exiting the parking lots. Tailgate set-ups that block vehicle access will be removed. There are ten locations of the Miller Lite designated driver program at Soldier Field. Our goal this season is to have 10,001 Chicago Bears fans pledge to be designated drivers at any of the eight fan services locations as well as the two concierge desks in the United Club on game day. Designated drivers receive a complimentary soft drink for promising not to drink alcohol at the game and ensuring a safe ride home for friends and family. 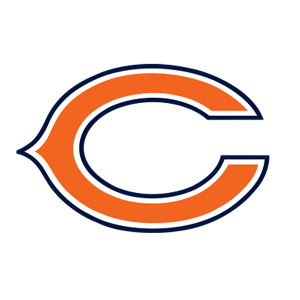 At the end of the regular season, one fan – the Chicago Bears Designated Driver for the Season – will be selected and represent the Bears in the Responsibility Has Its Rewards Sweepstakes with a chance to go to the 2017 Pro Bowl or Super Bowl LI. In 2013, the Chicago Bears Designated Driver for the Season – Coleen Peppin – won a trip to the Pro Bowl!